You'll find the affordable self storage unit you're looking for at Affordable Family Storage! We're located near Little Caesars Pizza, Snap Fitness, Community State Bank, and Goodwill at 3400 E 33rd Street in northeast Des Moines, IA. We're close to both I-80 and Hwy 6, making us accessible not only to residents and businesses of Des Moines, but of Norwoodville, Berwick, Altoona, Bondurant, and other area communities. Come visit us and we'll help you choose the perfect storage unit for you! 1ST MONTH FREE ON STORAGE UNIT!! Des Moines, Iowa is a great place to call home. Des Moines experiences all seasons of the year in their full glory: snowy winter days, a warm summer, pretty blossoms in the spring, and idyllic fall temperatures. Few cities in the US experience such seasonal diversity. 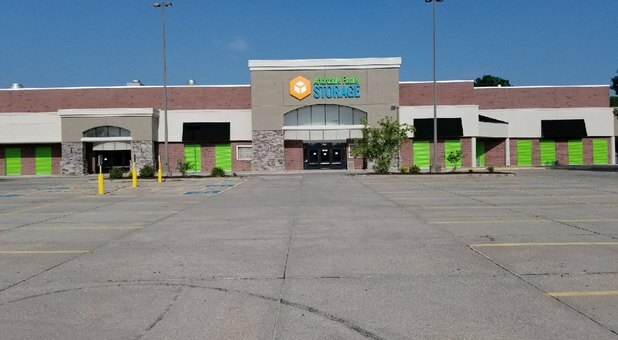 If you were searching “self storage Des Moines” it is probably because you appreciate a moderate climate as well! There are all-season activities in Des Moines to keep adults and kids entertained all year long. Residents can enjoy indoor and outdoor exhibits at the Blank Park Zoo, or they can visit Des Moines Art Center, with its mixed media and modern art and sculptures. The Greater Des Moines Botanical Garden has seasonal flowers on display all year long and is a favorite site of locals. Living History Farms is another site everyone must visit at least once. It’s a recreated village and farm straight out of the late 1800s. Hiking, biking, and water sports are all popular activities at Ledges State Park and Jester Park, both just a stone’s throw from downtown. Plus, old-fashioned farmers markets open up from May through late October. With these wonderful attractions – and many more – in the Des Moines IA area, it’s no wonder that people are moving here to live, work, play and learn. This modern meets Midwest city is the perfect place to raise a family, work and enjoy big city life alongside a slow-paced, rural backdrop. Whether you are planning to plant some roots in Greater Des Moines, or if you’re just passing through, the chances are pretty good that you’ll need some storage space for your belongings during your move or in the coming years. Choose Affordable Family Storage for your personal and business storage needs! Affordable Family Storage is located on 33rd Street, near Community State Bank, Snap Fitness, Little Caesars Pizza, and Goodwill. Our site is easily accessible from Interstate 80 and Highway 6, so no matter where you’re coming from, you’ll be able to find us in a snap. Our location is easy to navigate if you are driving a moving van or pulling a trailer. You don’t have to worry about a hard-to-find building or a tiny little parking lot that you can’t move around in. Our self storage units have wide, drive-up doors so that you can unload your items directly into your unit without having to walk them across a huge parking lot or haul them up flights of stairs. 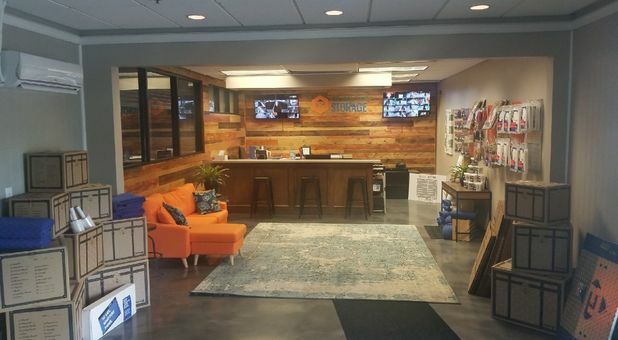 Affordable Family Storage wants to make it as easy as possible for you to move your boxes, furniture, equipment and whatever else you don’t have room for into and out of our facilities! Des Moines, West Des Moines, Urbandale, Windsor Heights, Norwalk, Avon Lake, Carlisle, Pleasant Hill, Altoona, Norwoodville, Berwick, Swanwood, Rising Sun, Saylorville, Marquisville, and more! Whether you live in the middle of the city or in a quiet suburb, you probably wish you had more storage area. This isn’t just a problem for people who live in condos and apartments! Families accumulate a lot of stuff through the years, and Affordable Family Storage is here to help! Individuals and families choose to rent self-storage units for a variety of reasons. Sometimes, they have an overflow of “stuff” that they aren’t ready to sort through yet. Some have furniture that they don’t want to let go of quite yet, such as baby beds or Dad’s old recliner. Couples that have just moved in together or new roommates have two of everything and need a place to put the extra stuff while they sort everything out. This is an ideal reason to rent a mini-storage unit, even for a short time. Even if you are advertising your furniture, trying to sell it, it can still be in the way at your home. Another advantage of keeping your for-sale items in a storage unit is that, when you do sell them, you can have the buyer pick up their items at our place, not yours, so complete strangers won’t have your street address. Businesses of all sizes also use Affordable Family Storage to keep items nearby but out of the way. Office supplies are usually much cheaper when purchased in bulk, but where are you going to store 1,000 boxes of printer paper? Especially for small businesses, space is limited and you only need to keep on hand what you’ll need in the near future. Renting a mini storage unit is a great idea for businesses that have surplus supplies. We have small units that are perfect for this purpose! Businesses of all sizes also have a need for equipment and inventory storage. Many times, they have an overflow of products that is best stored off-site so that it stays out of the way until needed. 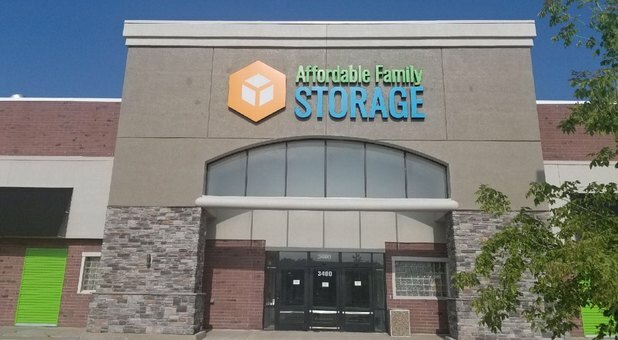 Affordable Family Storage has earned a reputation for being reliable, reasonably priced and convenient. Customers love the fact that they can access their units any time of day, 7 days a week. We have climate controlled units that keep even sensitive items safe and undamaged by changing temperatures. Because we are located in a populated area, there is little risk of anyone getting in – much less out – without us knowing about it! But just to be sure, our units are under constant surveillance monitoring, so you can be sure that nothing you leave in our care gets damaged or stolen. We take reservations online and over the phone, and we have units available right now, so give us a call to reserve the perfect sized unit for your needs! Our smallest units are 5x5 – perfect for people who need to store small but important items – and you can rent one of these convenient spaces for less than $50 per month, with no long-term contract! If you are in need of something larger, we can certainly meet your needs as well. We have units that range in size from 5x10, 10x10, 10x15 and 10x20. The exact dimensions that you need will be determined by what items you need to store. Camping and hiking gear, for example, can be stored in a square unit, while fishing boats fit much better in our rectangular units.